Excel with a Mentor is a voluntary program designed to familiarize transitioning service members with the corporate setting and gain realistic career perspectives. The goal is to help service members gain insight and a deeper understanding of the civilian sector – allowing one to better prepare, plan and make informed decisions regarding their transition. It is also a great opportunity to expand your network and build relationships with key professionals in the private sector. Once you apply for the program, our partners locate an appropriate mentor. 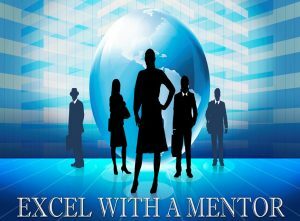 Mentors are available from a variety of different career fields/industries and they volunteer their services/expertise. Based on your application, we will partner you with an appropriate mentor. We will introduce you to your mentor via email, provide your application as well as the mentor’s biography. You and your mentor will choose, when, and how often you both would like to meet. This is truly a great program that can be very beneficial. Mentoring is the presence of caring individuals who provide support, advice, friendship, reinforcement, and constructive examples to help others succeed. It encourages people by promoting communication, personal and professional development and challenges you to do your best at both. 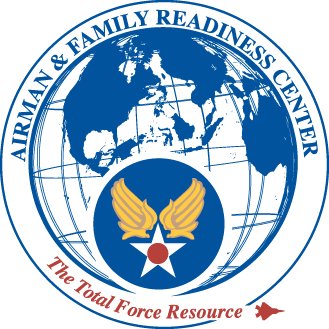 Please stop by the Airman & Family Readiness Center, Building 323 C, Room 206 or call (402) 294-4329 for more information or to apply for this GREAT opportunity! Attention Employers…Are you interested in mentoring a service member who is getting out of the military? Mentors are needed to help Retiring and Separating Military Members learn about the skills and education needed to compete for careers with civilian companies. Everyone is welcome, regardless of military background. What is needed to participate? Both mentors and military members (mentees) need to be willing to commit to 6 months to go through the process of learning what is expected or needed to today’s work environment. That is up to the mentor and mentee. After the military member is matched with a mentor, they will contact that mentor within 2 weeks to arrange a first meeting. It is recommended that the first meeting take place in person but any meeting after this can happen in person or over the phone or any other creative ways you have. We suggest at least one meeting a month. That is entirely up to the mentor and mentee! The point if for the mentee to discover their strenghts and abiities and how that will match the job or career they desire to pursue. What if my mentee needs something that I am not familiar with? HRAM is associated with a majority of companies in the Omaha area. If you have questions or are unsure about a particular question or situation, HRAM will get you connected with someone that will have the answer. It’s a great way to teach networking skills and showing someone unfamiliar with the process how to go about getting what they need and make lasting relationships along the way. If you decide to keep communicating with one another, that is up to you. We do ask for some flexiblity when unexpected situations arise (such as deployment). What if the relationship isn’t working out? For any reason, you can request a new mentor/mentee. No hard feelings, promise!